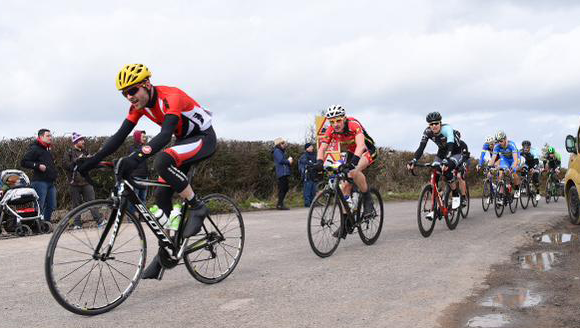 The Severn Bridge Road Race started in beautiful sunshine after some dreadful rain on the way to the start. I was the only Phoenix rider, and the usual suspects of pro-teams turned up (ONE cycling, NFTO, PedalHaven etc). The course was challenging with 10 laps including a 1km/7% climb with a vicious kick towards the end and in windy conditions. The first lap was neutralised to familiarise everyone with the plentiful roadworks. Action started on lap 2, with attacks from the gun. When a ONE cycling and an NFTO rider went clear I decided it would be time to jump and got a cross with a number of other riders. We established a break of just over 10 riders (I think we lost a couple of them to normal attrition) with 3-4 ONE riders, 3 NFTO’s and 2 PedalHaven guys (rough numbers – it was a blurry vision for 3 hours for me). The break was terrible. Attacks straight away, and not having any team mates I was a playing ball either chasing down riders or being left. 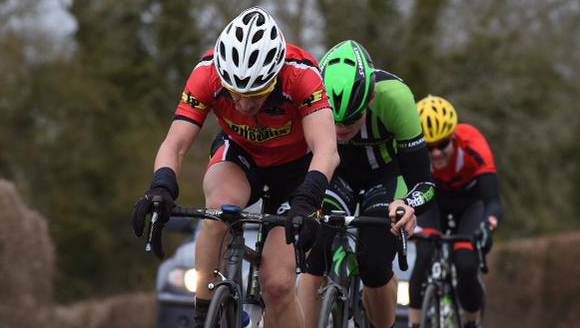 So I did my fair share of turns and efforts until 3 laps from the finish two 2-rider pairs went clear. I was comfortable in the remaining 6-men chase until 10k from the finish a Di2 fail meant I was stuck in the small chain ring. Trying to put it back whilst riding I actually dropped the chain and quickly pulled over, put it on and asked the BC car how far back the bunch was. “Miles away”, was the answer, so I just cruised with bonkers cadence to the finish and came in in 10th place.